Click the blog title to enlarge. We are delighted to introduce our newest Coconut Grove listing - a townhouse with two bedrooms and two-and-a-half bathrooms. Owned by a famous designer, this property reflects the creativity and the elegant beauty of the proprietary's imagination. The home has been completely updated with ultimate style and graced by natural light. The floors, new kitchen, and bathrooms are worthy of a European design magazine feature. 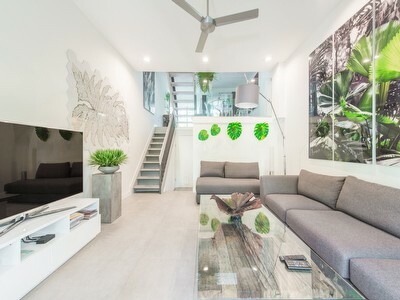 It's layout and chic finishes give the illusion of living in an urban pied-a-terre with a lush, private garden. Best of all, it's just minutes from the Grove Village, world-class restaurants, boutiques, theater, and marina. Have any exciting plans for the weekend? If you find yourself in Coconut Grove, come by two of our open houses and explore these distinct “Grovey” lifestyles! We have a brand new townhome for sale at 2966 Day Avenue, which will be open on Sunday, March 24th from 12:00 to 2:00 pm. The home has been completely updated and reflects the very best design. It’s layout and chic finishes give the illusion of living in an urban pied a terre with a lush, private garden. Best of all, it’s just minutes from the Village, world-class restaurants, boutiques, theater, and the marina. Looking for something that’s still close to all the action, but far enough away to give an added sense of relaxation? If so, you’ll definitely want to stop by 3642 N Bayhomes Drive from 2:30 to 4:30 pm on Sunday, March 24th. We just listed this unique single-family home one week ago, and it embodies the true essence of Coconut Grove living. Although it has many special features, one of its most enchanting attributes is a fully-functional coral rock fireplace that adorns the main living area. You don’t see that in every home, and it’s certainly a conversation starter! Also, who wouldn’t love to be close to the water and not in a flood zone? The property’s position on a natural ridge put’s it outside of the flood zone. Can’t stop by on Sunday? Not a problem. To schedule a private tour of either of these amazing residences, contact The Grove Experts, Isabelle Andrews at 305.546.5421 and Alba Biondi at 305.323.2595 or via email at theteam@groveexperts.com. We are happy to introduce to you our newest Coconut Grove listing: 3642 N Bay Homes Dr. Built in 1925 on the high ridge, above Biscayne Bay resides this lovely, classy, and beloved Coconut Grove charmer. The steady coral rock enclosed front porch welcomes you upon entering the home. The large glass and solid wood double front doors open to an expansive and light-filled sitting area where you have gorgeous views of the garden. The living room offers beautiful wood floors and a coral rock functioning fireplace. The spacious kitchen countertops were conceived for the chef in the family. The outdoor deck is perfect for enjoying a cup of coffee (or tea) while admiring Coconut Grove's enchanting nature. The street is tucked away from the busy village, but still very near. The bicycle path, the proximity of the Kampong, the canoe/kayak launching pad at the end of the street are captivating benefits of this home. Plus, it is not in a flood zone. Prime location, great amenities, a quiet street, and so much more. If you are interested in viewing this property, please contact us for a private tour. Advise to sellers: Your properties' asking price should be aligned with the reality of the market, otherwise, it will not even be previewed by buyers. Buyers are not feeling the urgency to purchase. Buyers: the market offers wonderful opportunities to own a piece of Coconut Grove's beauty at very competitive prices. It is, after all, a buyer's market. Data compiled by Isabelle Andrews and Alba Biondi - The Grove Experts. Though information is believed to be correct, data sources are subject to errors, omissions, changes, or withdrawal without notice. 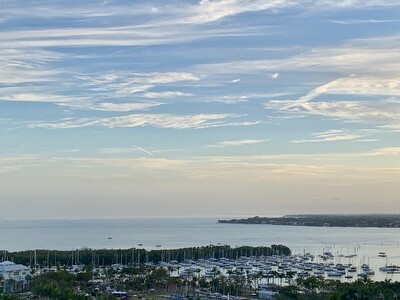 January 2019 sales for the Coconut Grove single-family real estate market are on steroids. A list of all single-family homes sold in Coconut Grove for January 2019 is available in the sold tab - Click here to be redirected. We can already expect the February 2019 sales volume to be similar to 2018's. February's available inventory has increased by 10% over last year. The overflow we are experiencing is putting pressure on the sales price. The real estate market is leveling off in Coconut Grove.